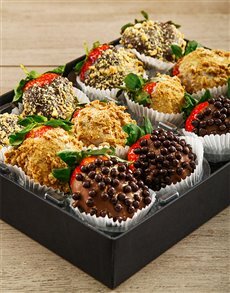 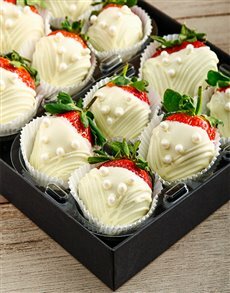 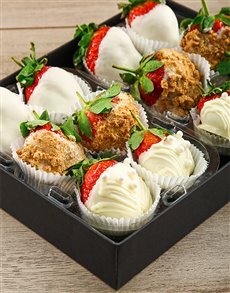 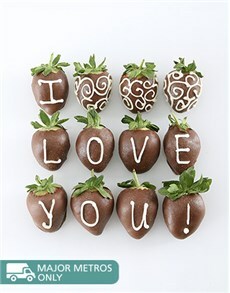 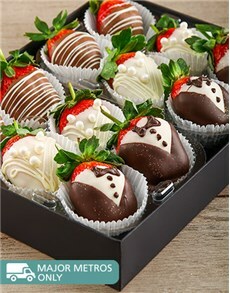 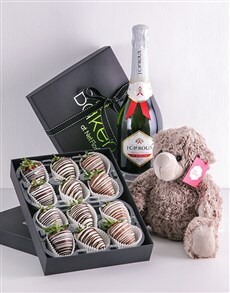 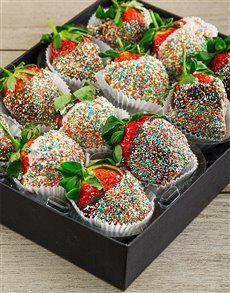 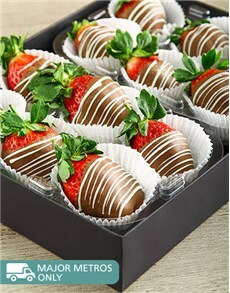 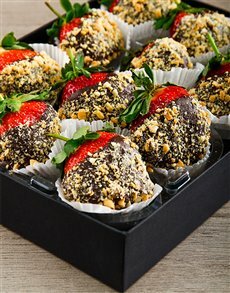 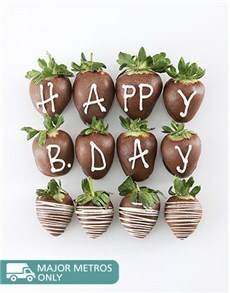 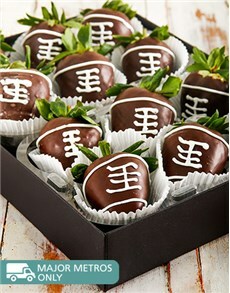 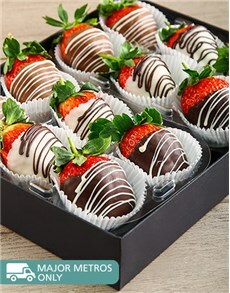 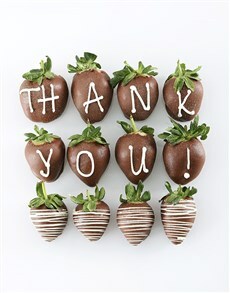 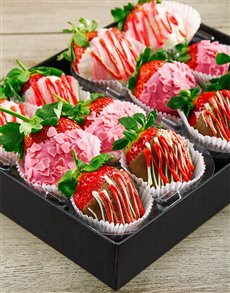 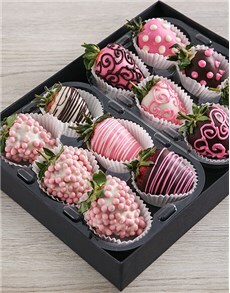 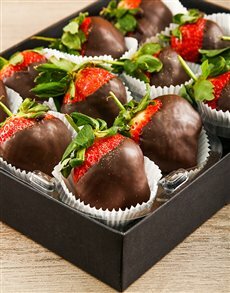 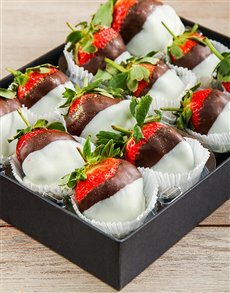 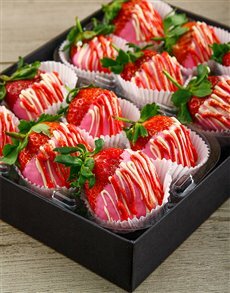 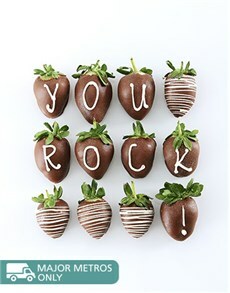 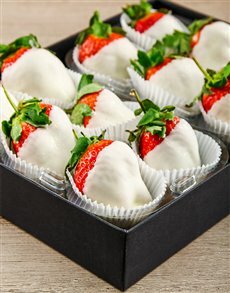 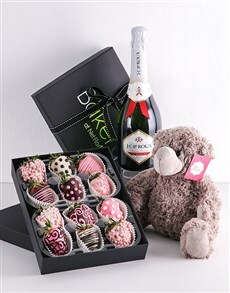 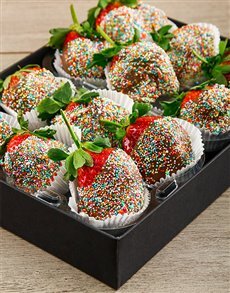 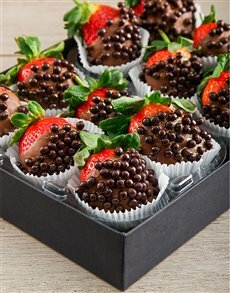 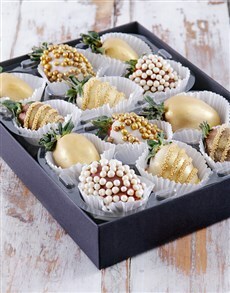 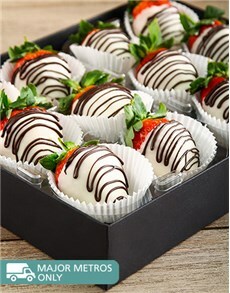 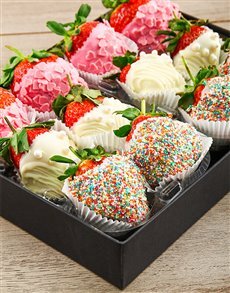 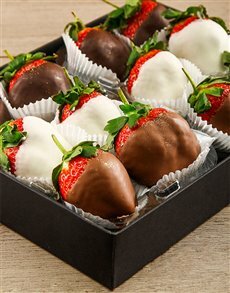 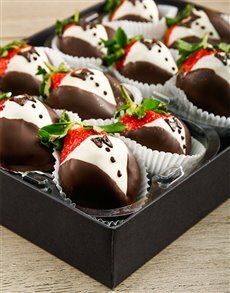 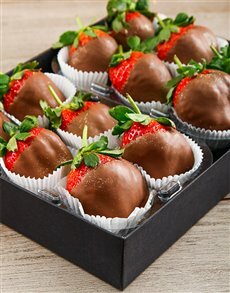 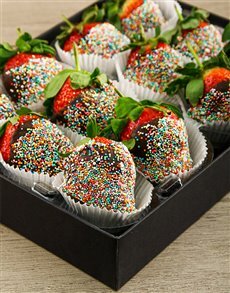 When you think of a chocolate dipped strawberry, you think of romance! 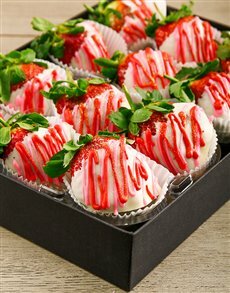 End-off the ultimate romantic date with this sweet and fruity dessert. 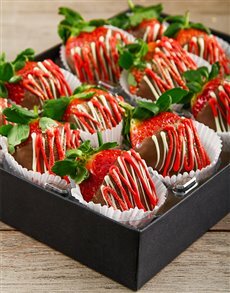 The core of the dessert is perfectly ripe, with that beautiful red hue. 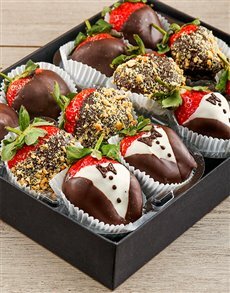 Choose an outer core of either chocolate, white chocolate, sprinkles, nuts and more. 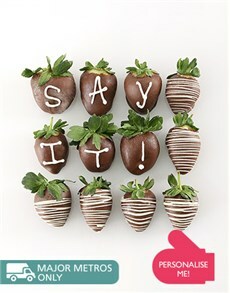 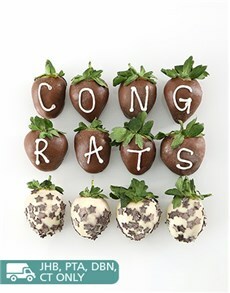 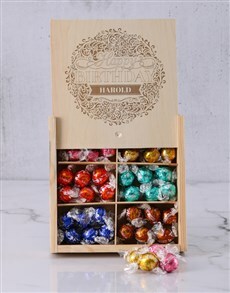 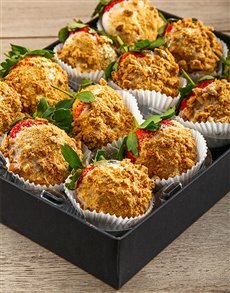 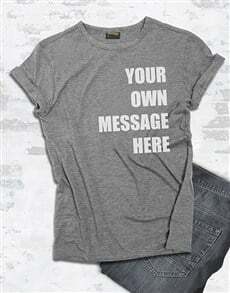 Add a message to sweeten the deal and make it the ultimate emotion inducing dessert. 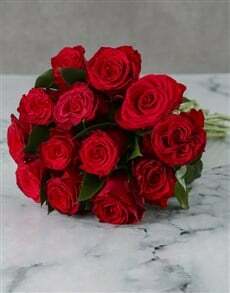 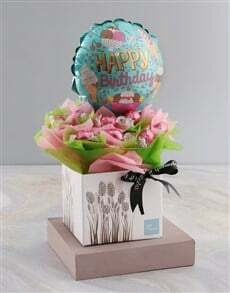 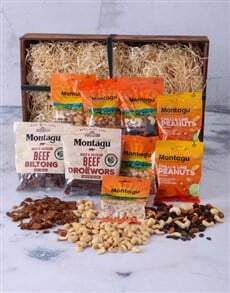 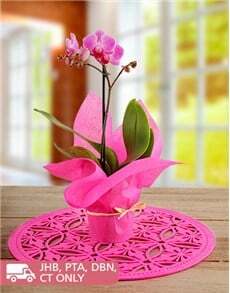 NetFlorist delivers nationwide to areas in Johannesburg such as Fourways, Northcliff, Roodepoort and more.